I am not feeling the love on this book as much as everyone else. 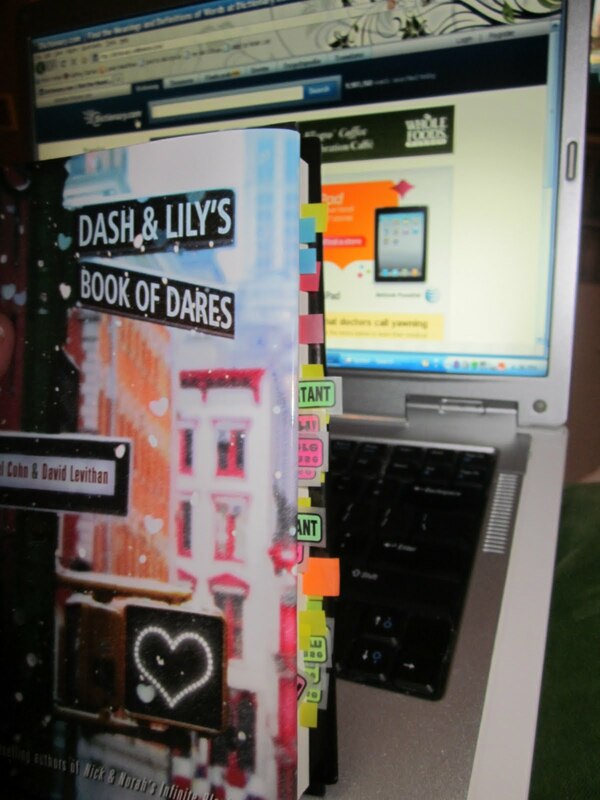 It was entertaining, and I certainly enjoyed the NYC at Christmastime setting, which was almost a character in and of itself, but I wasn't a big fan of the main characters of Dash and Lily. Their development felt superficial to me, and the word choice of these two supposed teenagers was much too sophisticated. Yes, I understand that they were both self-proclaimed word-nerds, but even so, there was something about their character...moreI am not feeling the love on this book as much as everyone else. It was entertaining, and I certainly enjoyed the NYC at Christmastime setting, which was almost a character in and of itself, but I wasn't a big fan of the main characters of Dash and Lily. Their development felt superficial to me, and the word choice of these two supposed teenagers was much too sophisticated. Yes, I understand that they were both self-proclaimed word-nerds, but even so, there was something about their characters that didn't make this aspect of them believable. For two teenage narrators, this seems a bit extreme for them to be using words that the average teenager (or adult) won't recognize. Don't get me wrong, I think it's great to encourage readers to develop a more sophisticated vocabulary, I just think there's a fine line between being encouraging and being condescending. The word choice in this book is straddling that line I think. I will say that I often found myself enjoying the secondary characters in this book much more than the main characters. I thought that Dash's friend, Boomer, and Lily's Great Aunt Ida, whom Lily affectionately refers to as Mrs. Basil E., to pay homage to one of her favorite books, From the Mixed Up Files of Mrs. Basil E. Frankweiler, were much more likable, and a burst of much-needed energy and comedy in an otherwise brooding sort of story. Overall, I did enjoy this book. My complaints are really more nit-picky than all-encompassing (even though it might not appear that way when you read this review). I thought there were some hilarious, ridiculous moments throughout that made it worth the read. 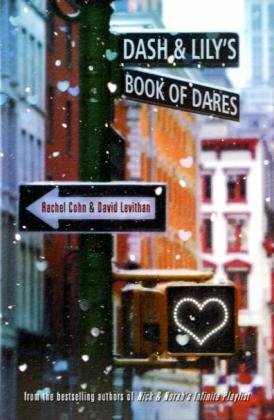 It just felt, at times, more like a fun writing exercise between Rachel Cohn and David Levithan than a fully developed novel.